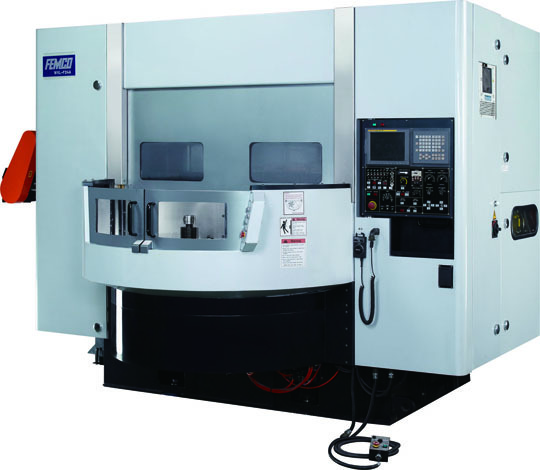 CNC Vertical Wheel Turning Center equipped with twin turrets providing high speed precision turning for high production of wheels. The two 6 X 6 station turrets allow for simultaneous or “balance” turning of the wheel’s outside and inside diameters significantly reducing cycle times. The Automatic Pallet Changer (APC) further reduces cycle time by eliminating load / unload time. The rigid construction combined with precision components assures consistent high accuracies and excellent finishes. 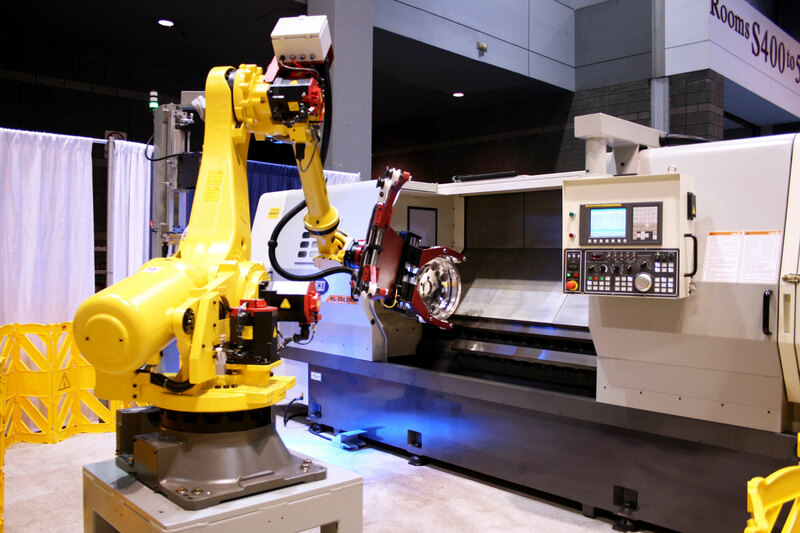 The WVL-F24A combines high rapid traverse rates, fast turret indexing and powerful 80/100 Horsepower spindle.